Incorporating elements of Blues, Folk and Rock (not to mention a flute solo here and there), Jethro Tull had a great run in the early part of the 70’s. Their work in that time frame (Aqualung, Thick as a Brick) was critically revered and commercially successful. This combined with a stellar live act has generated a very loyal following that still exists to this day. Although they forayed into Electronic and harder Rock elements, which produced weaker efforts in the 80’s, their early work was solid and difficult to ignore. Should Progressive Rock get another look from the Hall, Jethro Tull is a viable contender to get in. Why they will get in: They have a solid fan base and they were certainly unique. Why they won't get in: Progressive Rock remains ignored by the Hall. 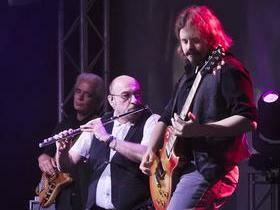 Should Jethro Tull be in the Hall of Fame? Buy your Tickets to see Jethro Tull at Chevalier Theater in Medford, MA HERE for as little as $119! Buy your Tickets to see Jethro Tull at Xcite Center at Parx Casino in Bensalem, PA HERE for as little as $129! Buy your Tickets to see Jethro Tull at Forest Hills Stadium in Forest Hills, NY HERE for as little as $97! Buy your Tickets to see Jethro Tull at Mohegan Sun Arena in Uncasville, CT HERE for as little as $80! In regard to the induction of "progressive " rock bands, they are getting more and more recognition at time goes by. This year, The Moody Blues were inducted, Jethro Tull should be NEXT year! 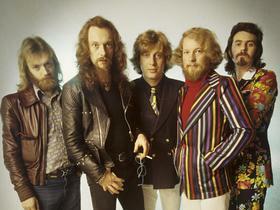 The exclusion of Jethro Tull undercuts the legitimacy of the so-called hall of fame. Jethro Tull is one of the most innovative bands in the history of Rock & Roll. Yes, Progressive Rock & Roll, but a great mixture of rock, classic, and a bit of whimsical fun that made them a pleasure to listen to. It is a shame again that Progressive Rock (other than Rush, Pink Floyd,) is getting the snub. 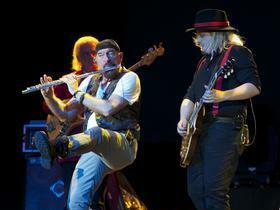 They along with Yes and the Moody Blues need to stand with Jethro Tull as members. Until this happens I along with a lot of Progressive Rock enthusiasts will never fully suppor this organization. I'm a PROG ROCK enthusiast that completely agrees with you Carl. YOU ARE NOT ALONE. Are you kidding? They're not in? What a surprise -- the Hall doesn't like prog-rock bands, especially British (Moody Blues, ELP, ELO, Renaissance). They belong IN. You are so right.This is a travesty.I'm impressed you know RENAISSANCE. They are truly incredible.A NNIE HASLAM sings like an angel directly from heaven.I am uncertain if I have ever heard a more beautiful voice in all rock history. You don't mention their first 3 albums which were excellent: this was; stand up; and benefit. The last featured Teacher on the US album. These guys were great musicians and song writers. They exclusion is another reason the hall is a joke. Can't wait for Britney and Beiber to get in. I just laughed my hole off . Thanks ROCKER.Yep I can't wait either for those two to get in.But remember this ....Pee wee Herman is executive VP for voting priviledge. RnR hall of shame is a total joke. No Tull or Little Feat? No Winter brothers etc etc. Unfucking believable! Perhaps Pee wee Herman is running the show over there in CLEVELAND.He probably never heard of rock music and therefore its politically correct for him to run the show.There can be no other answer. Well said my good friend.The flute in rock. WHAT GUTS AND INNOVATION.A total shame they are not in.Or is it a total joke. I like you OLD MAN.Tell it like it is.What hurts me the most is BADFINGER are not in as well.What a crock,sham.. ....etc. Let's not give up daddy. The Rock and Roll Hall of Fame really has no credibility. Tull should have been in years ago. With all their success and no band has had their sound before or since. The Rock HOF is just another political faction. Well said RAINMAN.No credibility is a nice way of putting it.Thanks for being classy about it. I might have said it far more coursely then you.Politica l faction in rock sounds like a virus.Is it curable? Those of us who were around then, barely teen agers the messages and the music great music and thoughts of ironic life for the masses to consider and take along to make along. THANX IAN your message was understood like Bruce from my home in Jersey. We see first hand the lengths the great rock and roll hall of fame have taken to appreciate great rock. May i soon with many others stand in Cleveland and applaud your belated initiation.